Presents a comprehensive introduction to the nature of pollution, its impact on the environment, and the practical options and regulatory frameworks for pollution control. Sources of pollution, regulatory controls, technological solutions, management and mitigation techniques and assessment tools, are examined in each key area: air, freshwater, and marine pollution, contaminated land and radioactive substances. Illustrated with a worldwide range of case examples this book offers an invaluable up-to-date guide to both the principles and practice of pollution management. 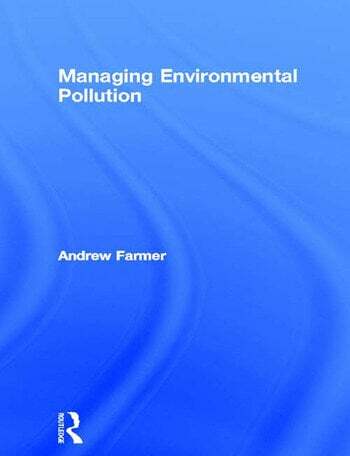 Andrew Farmer is a pollution specialist with English Nature. He has a research background in freshwater ecology and air pollution research in the UK and USA.